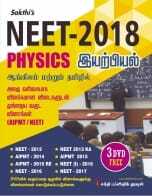 Table of ContentPhysics- Physics and Measurement, Kinematics, Laws of Motion, Work, Energy and Power, Rotational Motion, Gravitation, Properties of Solids, Mechanical Properties of Fluids, Thermal Properties of Matter, Thermodynamics, Kinetic Theory of Gases, Simple Harmonic Motion, Wave Motion, Electrostatics, Capacitance, Current Electricity, Magnetic Effects of Current, Magnetism, EM Induction and AC, electromagnetic Waves, Ray Optics, Wave Optics, Dual Nature of Matter and Radiation, Atoms, Nuclear Physics and Radioactivity, Electronic Devices, Communication Systems Chemistry- Matter and Laws of Chemical Combinations, Chemical Equations and Stoichiometry, States of Matter: Gaseous and Liquid States, States of Matter: Solid State, Atomic Structure, Radioactivity and Nuclear chemistry, Chemical Bonding and Molecular Structure, Chemical Thermodynamics, Solutions, Chemical Equilibrium, Ionic Equilibrium, Redox Reactions, Electrochemistry, Chemical Kinetics, Adsorption, Colloidal State, Periodic Classification and Periodic Properties, Principles and Process of Metallurgy, Hydrogen, s- ,p-, d- & f-Block Elements, Coordination Compounds, Environmental Chemistry, Purification of Organic Compounds, Some Basic Principles of Organic Chemistry, Hydrocarbons, Organic Compounds Containing Halogens, Alcohols, Phenols and Ether, Aldehyde, Ketones and Carboxylic Acid, Organic Compounds Containing Nitrogen, Polymers, Biomolecules, Chemistry in Everyday Life. 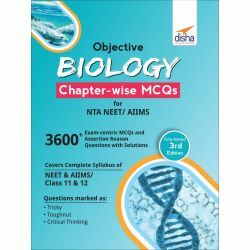 Biology- The Living World, Biological Classification, Plant Kingdom, Animal Kingdom, Morphology of Flowering Plants, Anatomy of Flowering Plants, Structural Organization in Animals, Cell, Biomolecules, Cell Cycle and Cell Division, Transport in Plants, Mineral Nutrition, Photosynthesis in Higher Plants, Cellular Respiration, Plant Growth and Development, Digestion and Absorpttion, Breathing and Exchange of Gases, Body Fluids and Circulation, Excretion in Animals, Locomotion and Movement, Neural Control and Coordination, Endocrine System, Reproduction in Organisms, Social Reproduction in Flowering Plants, Human Reproduction, Reproductive Health, Heredity and Variation, Molecular Basis of Inheritance, Evolution, Human Health and Diseases, Strategies for Enhancement in Food Production, Microbes in Human Welfare, Biotechnology, Biotechnology and Its Application, Organisms and Population, Ecosystem, Biodiversity and Its Conservation, Environmental Issues. 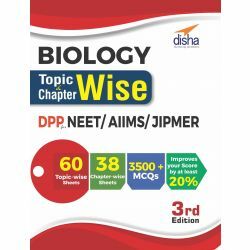 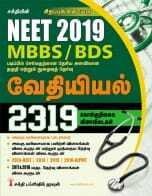 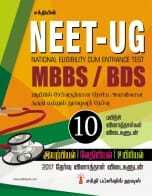 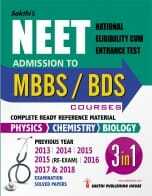 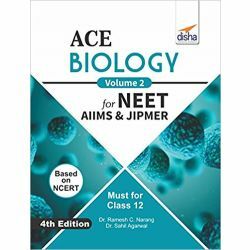 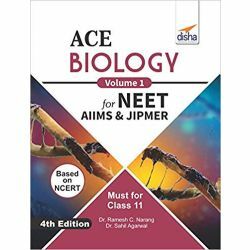 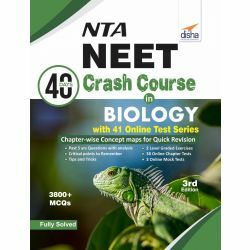 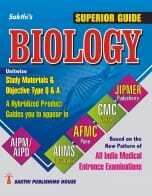 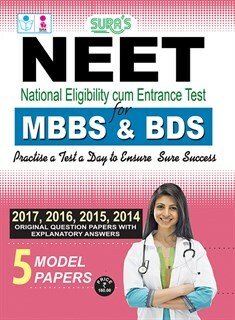 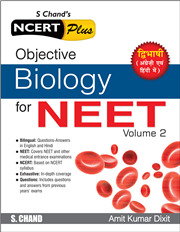 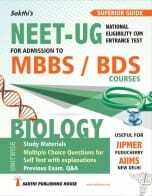 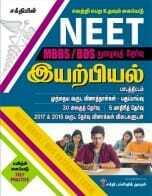 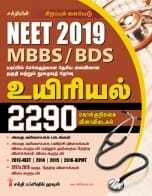 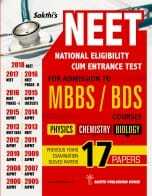 Preparing CBSE AIPMT & NEET Biology in 40 Days! 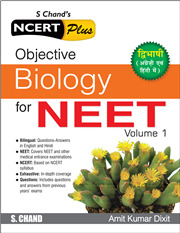 Day 1: The Living World, Day 2: Biological Classification, Day 3: Plant Kingdom, Day 4: Animal Kingdom, Day 5: Unit Test 1, Day 6: Morphology of Flowering Plants, Day 7: Anatomy of Flowering Plants, Day 8: Structural Organisation in Animals, Day 9: Cell: The Unit of Life, Day 10: Biomolecules and Enzymes, Day 11: The Cell Division, Day 12: Unit Test 2, Day 13: Transport in Plants, Day 14: Mineral Nutrition, Day 15: Photosynthesis, Day 16: Respiration in Plants, Day 17: Plant Growth and Development, Day 18: Unit Test 3, Day 19: Digestion and Absorption, Day 20: Breathing and Exchange of Gases, Day 21: Body Fluids and Circulation, Day 22: Excretory Products and Their Elimination, Day 23: Movement and Locomotion, Day 24: Neural Control and Chemical Coordination, Day 25: Unit Test 4, Day 26: Reproduction in Plants, Day 27: Animal Reproduction and Reproductive Health, Day 28: Genetics, Day 29: Molecules Basis of Inheritance, Day 30: Evolution, Day 31: Unit Test 5, Day 32: Biology and Human Welfare, Day 33: Biotechnology Principles and its Applications, Day 34: Organisms and Ecosystem, Day 35: Biodiversity and Wildlife Conservation, Day 36: Environmental Issues, Day 37: Unit Test 6, Day 38: Mock Test 1, Day 39: Mock Test 2, Day 40: Mock Test 3, AIPMT Solved Paper 2015, NEET Solved Paper 2016 (Phase I), NEET Solved Paper 2016 (Phase II), NEET Solved Paper 2017, NEET Solved Paper 2018. 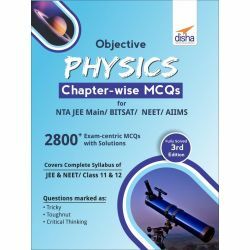 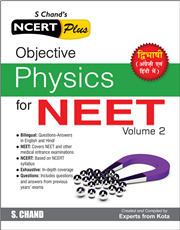 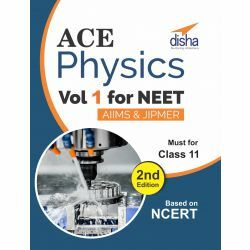 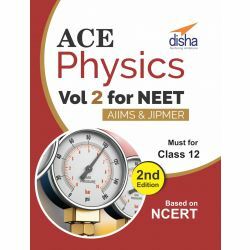 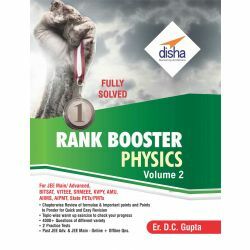 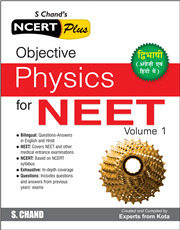 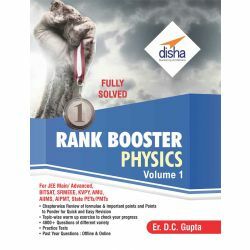 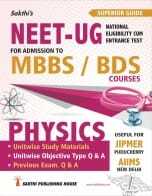 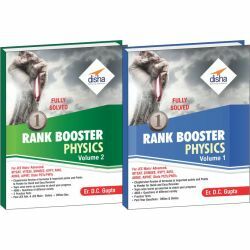 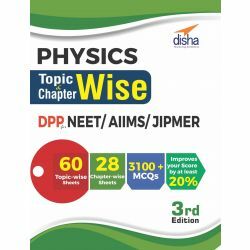 Preparing CBSE AIPMT & NEET Physics in 40 Days! 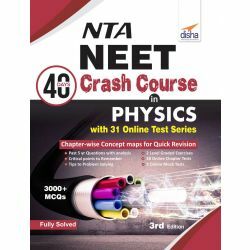 Day 1: Physical World and Measurement, Day 2: Kinematics, Day 3: Scalar and Vector, Day 4: Laws of motion, Day 5: Circular Motion, Day 6: Work, Energy and Power, Day 7: System of Particle and Rigid Body, Day 8: Rotational Motion, Day 9: Gravitation, Day 10: Unit Test 1, Day 11: Properties of Matter, Day 12: Transfer of Heat, Day 13: Behaviour of Perfect Gas and Kinetic Theory, Day 14: Thermodynamics, Day 15: Unit Test 2, Day 16: Oscillations, Day 17: Waves, Day 18: Unit Test 3, Day 19: Electrostatics, Day 20: Current Electricity, Day 21: Unit Test 4, Day 22: Magnetics Effects of Current, Day 23: Magnetism, Day 24: Electromagnetic Induction, Day 25: Alternating Current, Day 26: Electromagnetic Waves, Day 27: Unit Test 5, Day 28: Ray Optics, Day 29: Wave Optics, Day 30: Unit Test 6, Day 31: Matter Waves, Day 32: Photoelectric Effect, Day 33: Atoms and Nuclei, Day 34: Radioactivity, Day 35: Unit Test 7, Day 36: Electronic Devices, Day 37: Unit Test 8, Day 38: Mock Test 1, Day 39: Mock Test 2, Day 40: Mock Test 3, NEET Solved Paper 2016 (Phase I), NEET Solved Paper 2016 (Phase II), NEET Solved Paper 2017, NEET Solved Paper 2018. 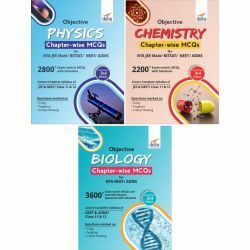 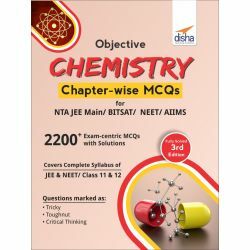 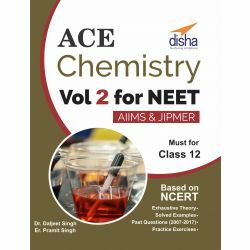 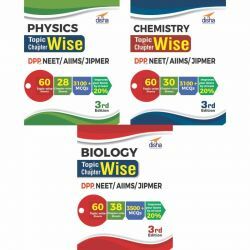 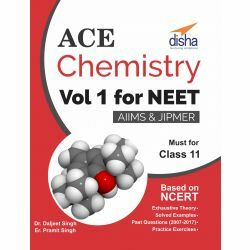 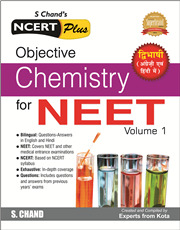 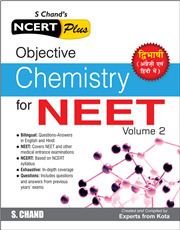 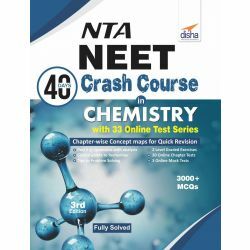 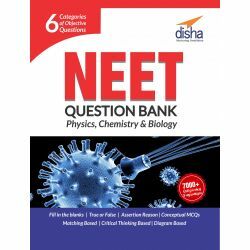 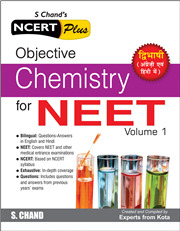 Preparing CBSE AIPMT & NEET Chemistry in 40 Days! 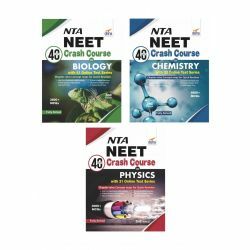 Day 1: Some Basic Concepts of Chemistry, Day 2: Atomic Structure, Day 3: Classification and Periodicity of Elements, Day 4: Chemical Bonding and Molecular Structure, Day 5: States of Matter (Gaseous and Liquid State), Day 6: Unit Test 1, Day 7: Chemical and Thermodynamics, Day 8: Equilibrium, Day 9: Redox Reactions, Day 10: Unit Test 2, Day 11: Hydrogen, Day 12: s-Block Elements, Day 13: p-Block Elements (Inorganic Chemistry), Day 14: Unit Test 3, Day 15: Some Basic Principles and Techniques, Day 16: Hydrocarbons, Day 17: Environmental Chemistry, Day 18: Unit Test 4, Day 19: Solid State, Day 20: Solutions, Day 21: Electrochemistry, Day 22: Chemical Kinetics, Day 23: Surface Chemistry, Day 24: Unit Test 5, Day 25: General Principles and Processes of Isolation of Metals, Day 26: p-Block Elements, Day 27: The d- and f- Block Elements, Day 28: Coordination Compounds, Day 29: Unit Test 6, Day 30: Haloalkanes and Haloarenes, Day 31: Alcohols, Phenols and Ethers, Day 32: Aldehydes, Ketones and Carboxylic Acids, Day 33: Organic Compounds Containing Nitrogen, Day 34: Biomolecules, Day 35: Polymers, Day 36: Chemistry in Everyday Life, Day 37: Unit Test 7, Day 38: Mock Test 1, Day 39: Mock Test 2, Day 40: Mock Test 3, NEET Solved Paper 2016 (Phase I), NEET Solved Paper 2016 (Phase II), NEET Solved Paper 2017, NEET Solved Paper 2018.